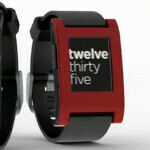 The Pebble smartwatch set a Kickstarter record as the device brought in funding of $10 million. Despite some earlier problems, most of the reviews from Pebble wearers have been quite positive. Now, an app available from the Google Play Store adds native Google Hangouts support to the watch and allows for notifications from the chat service and video Hangout requests. Google Talk notifications were already supported on the Pebble watch. 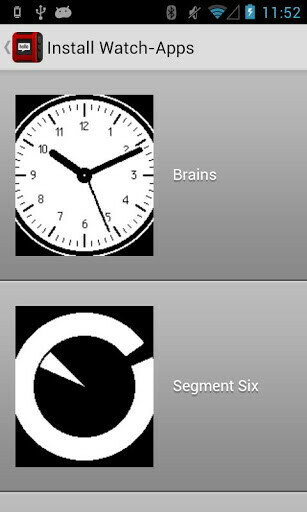 The app provides a dashboard for the Pebble smartwatch and gives users a notification when software needs to be updated. The new update also includes stability improvements and enhancements for third party app developers. The cool thing about the Pebble smartwatch is that you can change the look of the watch's face as easily as you would install an app on your phone or tablet. Other apps turn the phone into a golf course rangefinder or a pedometer. The success of Pebble certainly paves the way for the upcoming smartwatches expected from Apple, Samsung, LG, Google and Microsoft. 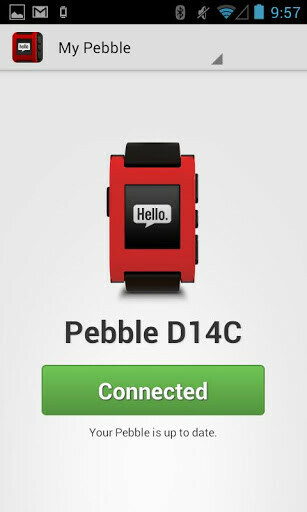 The Pebble smartwatch connects to your Android phone via a Bluetooth connection.